Safe – Keep safe by not giving out personal information – such as your full name, email address, phone number, home address, photos or school name. Meeting – Meeting someone you have only met online can be dangerous. Only arrange to do so with your parents. Accepting – Accepting messages, emails, or opening files, pictures or texts from people you don’t know or trust can lead to problems – they may contain viruses or nasty messages! Reliable – Information you find on the internet may not be true, or someone online may not be telling the truth about who they are. 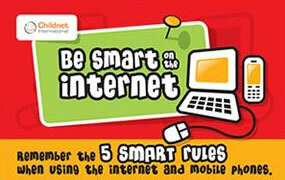 Do you have internet filtering set up on internet enabled devices that children have access to? Parents’ guides for setting up free parental controls including filtering offered by the Internet Service Providers BT, Sky, Talk Talk & Virgin Media. Do you have parental controls set up on your computer or devices e.g. games consoles, tablets, phones? Many devices such as games consoles, smartphones and tablets have their own parental controls, for example to limit spending or restrict access to apps based on age rating and in app purchases. You can find out more about different devices from the Parents’ Guide to Technology. Does your child use Google, UTube or other internet based tools where they could come across unsuitable content for their age? Do you know how to change settings e.g. enable SafeSearch? Find out more about YouTube Safety Mode, Google SafeSearch, 4OD Parental Control, BBC iPlayer Parental Guidance Lock, ITV Player PIN number protection and and Sky Go Parental Controls. Do you speak with your child about what they would do on the internet and what to do if they came across unsuitable content while on the internet? Do you discuss what information is safe to share on sites. e.g. Is it safe to share their full name? Do they need to check with you when registering for a website? Do you discuss with your child that not everything on the internet is real or what it says it is, including people?